Oh, such a hard conundrum...I mean corundum. Corundum, a mineral, is the next hardest after diamond. Diamond is 10 on the Mohs hardness scale, while corundum is 9. It is used for grinding optical glass, polishing metals and some sandpapers and grinding wheels. Our appreciation for this mineral pertains more to the beautiful gemstones that come from corundum, which is actually aluminum oxide and in its purest form, is colorless. When it contains iron, it turns into a green or blue-green sapphire. When the corundum contains chromium, the sapphire is pink. The more chromium, the darker the pink, and when there is enough chromium to turn a sapphire red, it is then known as a ruby. Sapphires can be many other colors as well, such as yellow, other shades of green, pink, purple, orange and yellow. Both rubies and sapphires can also be grown synthetically, in a lab. They have the exact same mineralization as those that are mined but they are without the flaws, clouds or inclusions often found in the natural gems. In other words, they are affordable and make perfect gems! 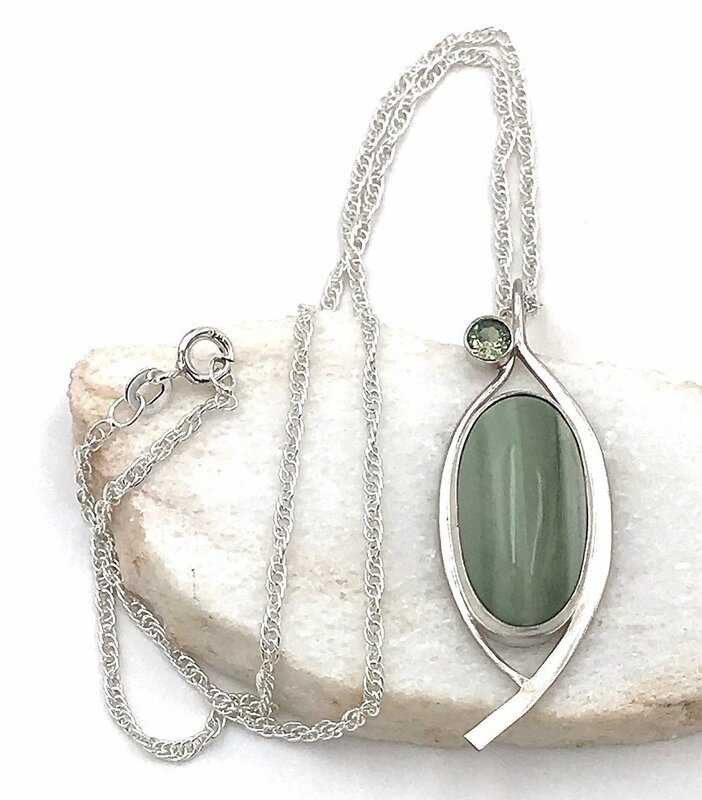 Check out our green sapphire pendant or the ruby ring in our shop. And stay tuned for more sapphire jewelry in the future.